Many of my generation believe that Christmas has become much too commercial and that the heart of the season has been forgotten. I don’t know. I don’t think that the old days were better and that people were more religious back then. There is a lot in the belief that the Catholic Church of 50 years ago was a social institution rather than a place where we worshiped the Almighty. I like Christmas. There is something about the whole idea of Christmas that gets me going. At the heart of Christmas there is the most beautiful thing in the world, a child. 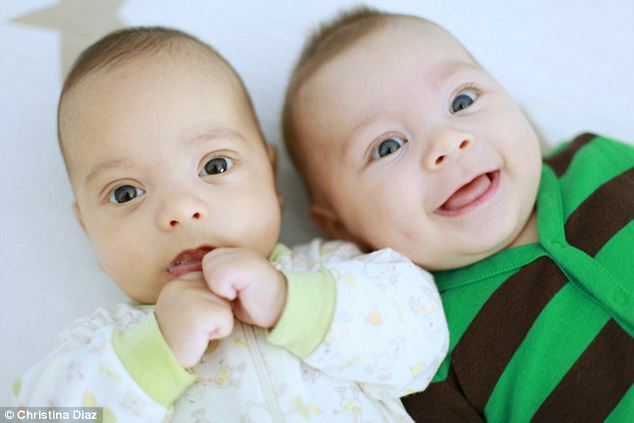 A child, any child, brings great joy to the whole family that surrounds it; parents, brothers and sisters, grandparents and uncles and aunts, everyone loves a baby. A baby is something special: a baby is the new life that proclaims that a family line shall continue, that the mother and father love each other and that no matter how bad the world appears there is still that ray of hope, hope in the future and hope in the love that people have for each other. What would life be if we had no hope? Where would we turn to if there was no God? The real reason we love Christmas is that Christmas, and the baby whose birth we celebrate, signify the hope of the world; a world without hope is a world of death. Most of us can’t see the hope. We don’t really need it because for a large part of our lives things proceed according to plan, but yet, somewhere deep down inside we all know that hope of a more permanent kind is required. The majority of people, ordinary people going about doing their business, looking after their families and paying their bills, go through their year in a hum drum fashion. Then we come to Christmas and something new kicks in. We want to buy presents, not because of all the ads and the razzamatazz but because we want to show those around us that we love them. We want our children to be happy, we want to see their eyes full of delight and instinctively we all wish to tap in to the hope that this child brings. I googled Jesus Christ and in 0.22 seconds 119,000,000 results came up for him. Jesus was a long way ahead of the rest of the field. Mohammad came second with 56 million, Buddha 36 million and Moses taking last place with a humble 19.7 million. All these were given extra time, (0.25 seconds) because a wider search was necessary. Jesus is by far the most important figure in history; no one comes near to him. Think of the way we measure time; we have B.C. and A.D., Before Christ and Anno Domini, the year of the Lord. In essence, what we are saying is that all time before his birth leads up to him and all time from his birth takes its meaning from him. Jesus is that important. In modern years the secularist society has tried to do away with this measure of time. We now have the BCE (before common era) and CE (common era). As I write this I see on my computer that ‘common era’ should be given capital letters. No way, Hosea; they get the small letters they deserve! The commercialism of Christmas is our attempt to block out these questions. We run from here to there, never stopping to ask ourselves what is really going on here. If we did we would have to give some sort of answer so we pretend that the question does not even exist. We dare not pause to listen to the question this little baby asks of us. Every child asks a question: are we going to look after it, are we going to care for this newborn addition to our family? The modern age says ‘no, we do not want children. They interfere with our careers and our holidays.’ In many quarters, pregnancy is now seen as a disease. But the birth of a child overrides all this. The new arrival brings untold joy to the world; aunts and grannies appear out of nowhere, bearing gifts and eager to see whose ‘nose’ the new arrival has brought with it! Rooms are painted, new cots put in place, all because the ‘wee one’ is coming home from hospital. What joy a child brings to the world. The coming of a child into a home always demands a response from its parents. The response of most parents is that they look after and care for the child as best they can. There is no handbook for parenting; parenting is a hit and miss affair where the love a parent has for the child wins through in the end. It is the same with Jesus. We are never quite right in our relationship with him but somehow, if we try, the love that exists between him and us wins through eventually. Life, like parenting, is a hit and miss affair; sometimes we get it right, more often than not we stagger through. Long before Jesus was born, way back at the time they were writing the first book of the Bible, the Book of Genesis, the person writing the book knew that humanity needed a saviour. Fifteen hundred years before the birth of this baby they were looking out for him, hoping that the long awaited Messiah would come soon. What a personality Jesus must have had. He called Peter to leave his boat and Peter got up and left everything. Matthew, the tax collector, was sitting at his desk collecting taxes when Jesus called on him to leave everything and follow him. What sort of personality can demand this of people? That’s the problem with love, it demands a response. If Jesus is anything, he is the love of God in human form. But love demands an answer. When someone says ‘I love you,’ the reply that you give may affect all of the rest of your life. If you say no to the person, the relationship may end. If you say yes it could be the beginning of a lifelong committed relationship. No matter what way you look at it, love demands a response. The love of God, shown in human form in Jesus, demands an answer from us. Most of us run away from the question and hide by buying gifts and partying. But the question haunts us. There is nowhere we can run to get away from it. In extreme cases we try drink and drugs or a host of other addictions, but no matter where we go the child who was born two thousand years ago, still demands a response. The majority of people live ordinary humdrum lives and think that they and their life is not that important. 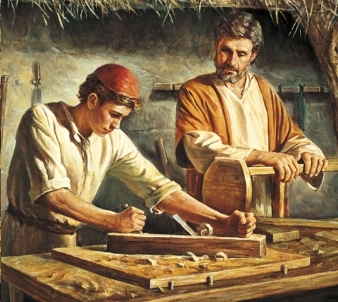 For most of his life Jesus worked as a carpenter; he was an anonymous joiner in a hidden corner of the Roman Empire. 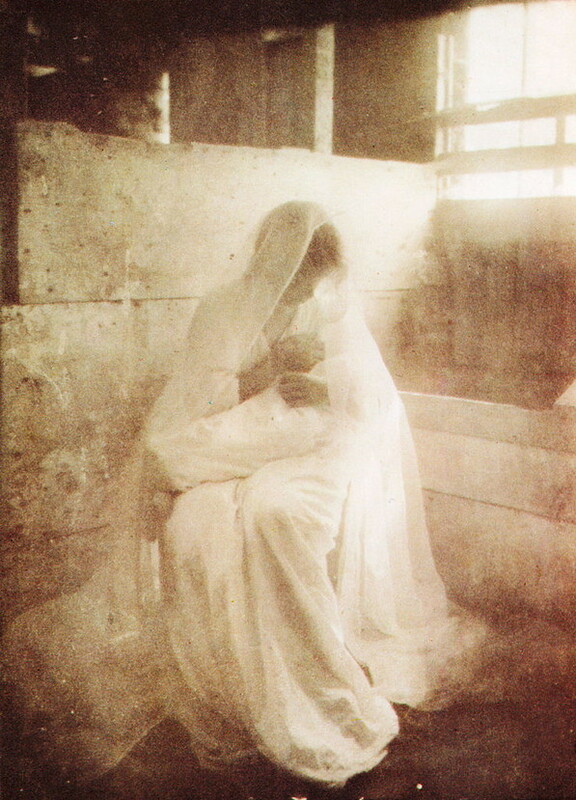 This ‘Hidden Life’ of Jesus gives dignity to our own ordinary lives, the daily grind of working and providing for our families takes on a whole new meaning when we realize that Jesus did the same thing for a good number of years. There is something else extraordinary about Jesus and I feel it has to be said; any article on Christmas would not be complete without it. Let us look again at the people we googled on the internet. In fairness none of them made any great claims about themselves. They all saw themselves simply as prophets and messengers. Jesus was a different kettle of fish; he knew exactly who he was and what demands he could make of us. For two thousand years mankind has ran away from this question in as many ways as possible. Now we do it with bright lights, cards and presents. But the question remains. Jesus himself knew this. He even told us that the world would hate Christians because it hated him first. Take our great atheist friends such as Richard Dawkins. How many of them attack Moses or the Buddha or Mohammad? They don’t need to, these men point the way to God in their own way but none of them ever claimed to be God. The difference between Jesus and Moses is the same as the difference between God and mankind. Instinctively, in the same way as we run from the question and hide in presents, we run from God. But we should not worry about it. Our God is a great God. He is also patient and kind and he walks with us as we grow out of the exuberance of youth and the foolishness of commercialism and he is with us when we grow older and come to understand that all these things are empty promises. Every Christmas, the same question comes around, who is this child and what does he mean to me? The question cannot be avoided forever, it is too persistent and its source is not outside of us. We can never outrun it. in our hearts this Christmas? But who can say no to a child? Who can say no to seven and a half pounds of pure love? In order to say no consistently, we have to harden our hearts, make our attitudes and our love become like stone. And every year the lights on the tree and the music of the children will more and more burn into our soul as we reject the call of love. This year I think I’ll try and respond to the call of love. Maybe at 59, I’ll listen to what Jesus is saying and think about what he is asking of me. And what he is asking is not that difficult: be good to the wife, love her and cherish her, look after my children, love them and cherish them: play my part in society and think of my neighbour. Not that difficult really, is it. 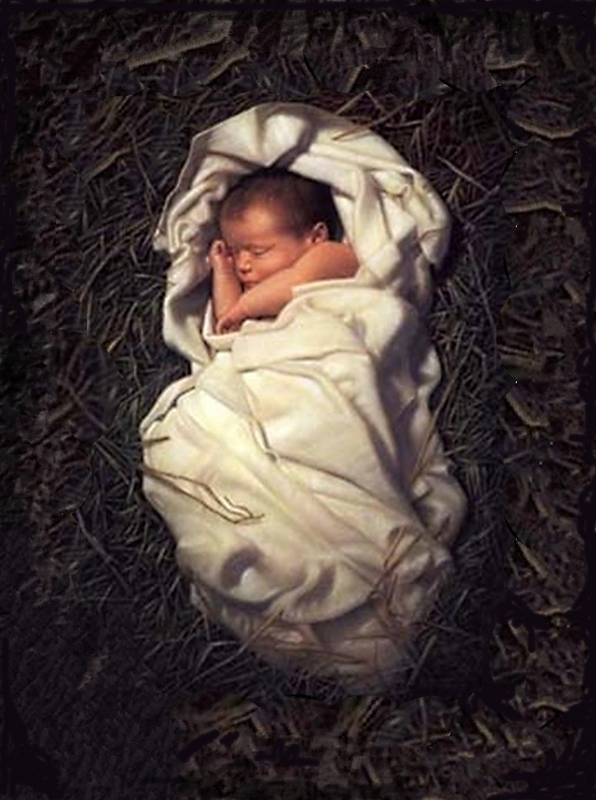 And anyway, who could say no to a beautiful child in a manger, with a light that still shines after two thousand years. Yes, my friends, our God is a great God, whether he comes as a child, or a carpenter, on a cross or on the Altar, and the question he asks of us never goes away. I remember forty years ago heading off from Coalisland one Saturday afternoon for the dog racing in Shelbourne Park dog track to enjoy an evening’s punting. A local man had a greyhound called ‘Clashing’ which duly obliged in one of the later races, much to our joy as it brought some recompense for earlier losses. However, this is not the point of my story. What I am interested in is the psychology of punters which I got a great insight into that evening. We met up with a well known punter from Tyrone who had a dog running in the first race. He backed the dog heavily and lost the equivalent of at least a month’s wages on the race. In the next race he went to the Tote office and did a £2 forecast and won £26. He jumped with delight and shouted that ‘now we’re winning!’ Even I, who am a complete amateur at these things, knew that if you lost £400 in the first race and won £26 in the second, you were not winning. There are a certain percentage of people who have to win and feel that they are winning. And if they are not winning, as was obviously the case here, they will make any small victory into a glorious defeat of an imaginary enemy; these people must win at any cost. FW de Klerk knew that he had lost and Nelson Mandela knew that he had won. De Klerk understood that South Africa could not go on with apartheid in the modern world and that some arrangement for the handover of power to the black South Africans had to be made. De Klerk was lucky in the enemy that he had. Nelson Mandela was a man of forgiveness, foresight and compassion who knew that victory is not all that it is imagined to be. He also knew that if he was to lead South Africa in a period of reconciliation and into a period of democracy and economic growth, that he would need the experience of the whites. For many years the whites had ran successful businesses and were seasoned managers. It was the same with the men who ran the large farms and the agriculture business in general. Then there were all the professional people; doctors, lawyers, judges, nurses etc. Mandela knew that the new South Africa would require these people; business managers and good farmers don’t just appear out of nowhere. The blacks had no culture of democracy, the professions or business and Mandela was shrewd enough to know that he needed them to help him rebuild the country. He was also a man of forgiveness who used his inauguration as an opportunity to show that he had forgiven those who had treated him badly while in prison. He invited some of the people who had made his life hell in Robben Island to the event. “FW de Klerk, who as South Africa's last white president ordered Mr Mandela's release, called him a unifier and said he had a remarkable lack of bitterness. Mandela was not like the wee punter from Co Tyrone; he did not need to imagine victory. De Klerk and Mandela sat down and talked out how they were going to make a peaceful transition from white minority rule to black majority rule. For De Klerk, the game was up. Surrender of Germany, May 1945. France, 7 May 1945. At right is German Admiral Hans von Friedeburg. On the 7th May 1945 representatives of the German Reich signed a document of unconditional surrender that ended World War II in Europe. The Germans, like de Klerk, also knew the game was up; no more imagined victories for them. A lot and here is why. Almost twenty years ago the Provos called a ceasefire which to all intent and purposes ended the civil war (for that is what it was) in Northern Ireland. That night the people of West Belfast had convoys of cars on the streets, flags hanging out the windows, celebrating an imagined victory over the British that had never taken place. 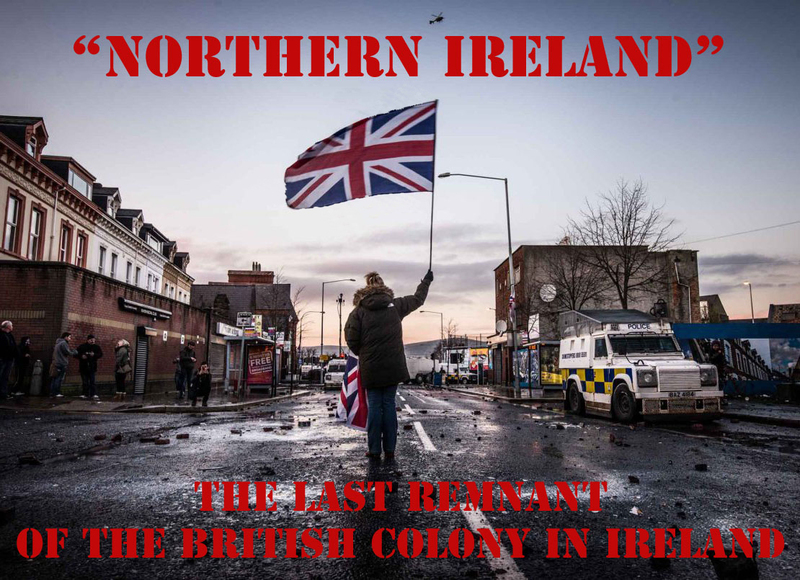 To keep the unionists happy the British had to tell them that the union was safe, the Provos now accepted that, and that they also had won the great battle to remain British. We ended up in Northern Ireland with the only war that both sides won: now that’s an Irish solution to an Irish problem! In the fullness of time both parties began to realize that neither side had won; what had really happened was that Britain, Ireland and America, along with the rest of the world, had become fed up with the Paddies fighting. By now, as we approach Christmas 2013, ‘the vast majority of good decent law-abiding Northern Ireland people’ (to paraphrase many a unionist politician) have realized that no one won and couldn’t care less anyway. The mortgage needs paid and the youngsters require presents and these are slightly more pressing problems than a united Ireland or the protestant ascendancy. So what do you do when you haven’t won and can’t admit it to yourself? You become like our punter from Co Tyrone and you begin to see every small victory as proof that you are the victor and every small loss is proof of betrayal by all and sundry. When you start to think like this a flag, up or down, on the pole everyday or seventeen times a year, takes on the importance of an enormous battle to some people and in their desire for victory they just can’t let it go. And you also forget that for a balanced society we need both the Protestant AND Catholic tradition here; the differing views of both religions could, if we allowed them, help maintain a healthy balance in society. I remember Ian Paisley going to one of the conferences in England when the Brits were really pushing to sort this mess out and his big issue on the agenda was the 11 plus exam. The St Andrews Agreement was full of amendments and clauses and Paisley’s points were covered in Part 3, Clause 21, and Paragraphs 88 & 89 of the agreement. At the time I can recall thinking to myself, ‘is this what Unionism is reduced to, fighting over the 11 plus?’ I had not figured out how important it is to have a victory, even an imagined one. That is why the flying of the flag over the City Hall became such a big issue for Sinn Fein; they needed a victory and they were able to dress up the flag controversy in such a way as made it look very important. “We can’t get a united Ireland but we can get rid of the flag over the City Hall,” you can imagine some wee shinner saying. Wow! Over three thousand people dead and we got the flag down from the city hall. To the poor old loyalist, the taking down of the flag was a ‘bridge too far.’ This was defeat that could not be allowed. Loyalism, being a culture based on traditions, memorials and anniversaries, decided to hold a march to commemorate this betrayal, on the busiest shopping day of the year in the heart of their dear city of Belfast, that bastion of the British Empire on the island of Ireland. The parades commission were approached, permission was given for 10,000 people to assemble outside the city hall at noon on November 30th and probably some even believed that the flag would magically appear on the pole at midday. Well, in the end, 1500 turned out. It appears that ‘the vast majority of good decent law-abiding Northern Ireland people’ have mortgages that need to be paid and the youngsters requiring presents and these are slightly more pressing problems than a united Ireland or the protestant ascendancy. By coincidence, I was driving to Dublin that Saturday afternoon. I was in Randalstown when I heard that the parade had passed off peacefully so I decided to drive down the M2 through Belfast and on to Dublin. When I reached Belfast the M2 and Westlink they were about as busy as a Sunday afternoon; the busiest shopping day of the year and Northern Ireland’s capital city or Ireland’s second city, depending on what way you look at it, was dead. Now, at the A1 in Lisburn the turn off to Sprucefield was chock-a-block. The only losers on that day were the shopkeepers of Belfast. Imagined losses and imagined victories are not reality. Mandela knew that reality was a country that has come through terrible times and that the one big gift that he could bring to that country was an act of forgiveness, forgiveness of all the wrongs done in the past and he had the leadership abilities to carry this off. That’s the second big problem of Northern Ireland; we have not got the desire or willingness to forgive the other side for what happened during our little splat, which went on for 25 years. We don’t have a Mandela, a man of forgiveness and real leadership. We don’t have him because we never needed him; both sides won so who forgives whom? We don’t have a de Klerk because no side has had to admit that the game is up, no side has had to face the reality that this wee state of ours, built on hatred and distrust, is no longer tenable and can’t continue in the way it was. So we fight a phoney war, a proxy war, where flags and marches take the place of guns and bombs. The weapons have changed but the fighting goes on. As I write this on Sunday afternoon I see that we in the nationalist tradition have scored another great victory: our proud defenders have fired twice at the police over the weekend. Ireland shall be free on Monday! And so it shall continue until outside circumstances force us to change. We are a people apart; we are not an integral ingredient of either the British or Irish community; we are like a garage built at the side of a house, not quite attached and not quite apart, sort of sitting out like a sore thumb. Thomas Beresford, of Hollywood, shall be spending Christmas in jail. Thomas was convicted of playing the Sash at an Ulster Covenant Parade outside a Catholic Church where he shouldn’t have been playing it. “Criticising the sentence, DUP assembly member Nelson McCausland said the parade had ‘passed virtually without incident’. ‘This is an extremely grave situation for Mr Beresford and his family,’ he said. ‘To be sentenced to three months in prison for playing The Sash as part of a parade is an extremely draconian sentence to be handed down. Poor Nelson is beginning to see the world of Northern Ireland from the perspective of the average Fenian from the Falls, a place where the law was always used to keep you in your place. “The organiser of a loyalist protest march in Belfast last Saturday is to be prosecuted, the Policing Board has been told. 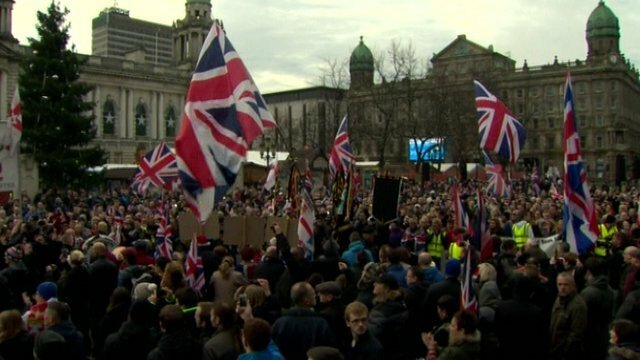 Hundreds of loyalists took part in the march, which came days before the first anniversary of a council decision to limit the flying of the union flag. Assistant Chief Constable Will Kerr said the unnamed organiser of the parade had been spoken to by police. We are going nowhere. Our battle is now being fought in petty wee ways that belittle both the Unionist and Republican cause. Haas wants a Northern Ireland flag that we can all owe allegiance too. The words, ‘snowball,’ ‘chance,’ and ‘hell’ comes to mind. We don’t trust each other and we don’t want to trust each other. We won’t forgive because forgiveness would be a sign of weakness and we must be strong during this phase of the war, even if it is only a phoney war; we owe it to our comrades. Meanwhile de Klerk mourns the death of his friend who was once his implacable enemy. Our so called leaders, who can hardly bear to speak to each other, will probably turn up at the funeral. Hopefully while they are there some of the great man’s qualities shall rub off on them! One can only hope and pray . . . I have decided that I might go into the Real Estate business. This possible change in career has come about as a result of what I read in the New York Times editorial the other day. “As financial investigations go, it literally can’t get any bigger than this: The world’s biggest banks are now being investigated for rigging the world’s biggest market. In a widening inquiry, as many as 15 banks — among them, Barclays, Citigroup, Deutsche Bank, Goldman Sachs, JPMorgan Chase and UBS — are under scrutiny by international officials for alleged manipulation of the $5.3-trillion-a-day foreign exchange market. Just read that; the bankers have organized themselves into cartels and then charged extra for their work. Talk about corruption. So why do I think I should go into the Real Estate business? Well, if I bought a house or two in Dublin 4 sure the banks could use the address as the listing for their new headquarters and come under Irish Law for banks. Irish Law for banks is basically, drink in the right pub, slap the back of the odd politician and everything shall be alright. Six years after the banks broke the country Ireland has not even got a meaningful investigation under way. 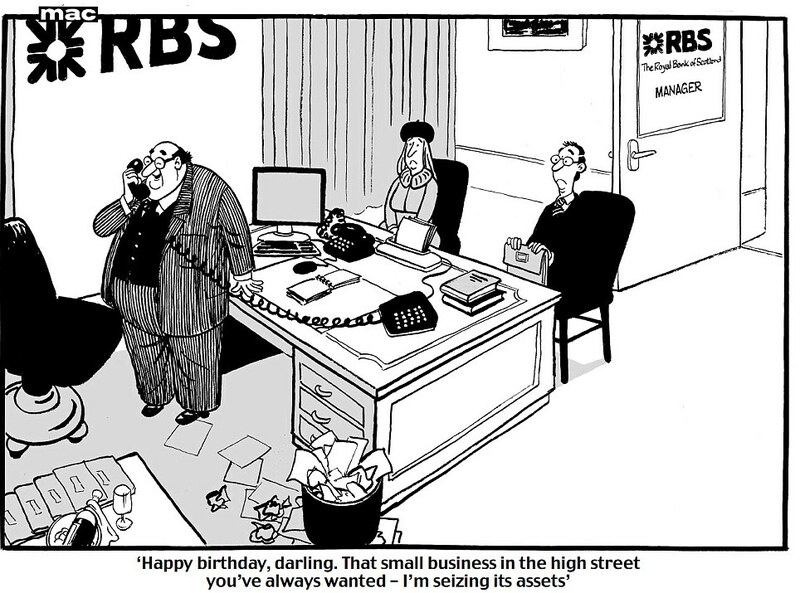 RBS deliberately closing down businesses? Then we see the RBS, which owns the Ulster Bank, is being investigated for deliberately closing down businesses in order to get their hands on valuable assets at knock down prices. “The wife of discharged bankrupt developer Larry O’Mahony – former business partner of Priory Hall builder Tom McFeely – has managed to procure a spending allowance of €9,000 a month. “Both properties — at Upper Leeson Street and Serpentine Avenue, Ballsbridge, looked attractive and desirable”. The bit that gets to me is the remark by the judge that the family’s previous lifestyle should be taken into consideration. Compare this with the draconian laws which have been put into place in the Free State for the ordinary people who go bankrupt. They are not entitled to a lifestyle at all. Now that we are talking about courts and financiers and bankers I want to mention a recent study done in Greece. This was a serious article and was published in the British Medical Journal which is not just your ordinary old newspaper. To be published there you need to have proper research and proper investigation. According to statistics there has been a serious increase in the number of deaths by suicide as the recession in Greece has taken hold. Although the article does not definitively say that one causes the other, there appears to be a link between the recession and the rate of suicide. And there has also been a marked rise in the number of ‘homicides’ or murders to you and me. Here are a few clues: An island off the coast of Europe, there should be 32 but there are only 26, and if you go to the pub on Saturday night you’ll hear a soldier’s song. Since there is obviously going to be no serious attempt by the Free State to hold anyone to account for the debacle of the banks down there, I think that someone, a wife or son or daughter or whoever, should take one of the banks up for failure of due diligence when some poor soul takes his own life after the bank forecloses on a business or a mortgage. It obviously won’t succeed as the Free State ranks as one of the most corrupt countries in the world, but surely someone needs to highlight for posterity the contempt with which the lives of ordinary people are being treated in the EU. Contrast this with the good work being done by Esther Rantzen. Esther has created a charity, Silverline, specifically for older people to call and chat if they are lonely or just want someone to talk too. I don’t know about the rest of Northern Ireland but we in the Mid Ulster area already have a similar service, the Good Morning scheme, which is run by Agewell. The difference with Esther’s charity is that it is a 24 hours a day, seven days a week service. How sad that we need it! However, we need to be careful before we start to reminisce about the good old days when these things would never have happened. I wonder were the good old days really that good. There were always people left alone to fend for themselves and people left in terrible circumstances. The loneliness of old age is not a new phenomemun; it was always there. Modern living and modern technology is not all negative. It depends how you use it. I read news articles from all around the world every day. I can instantly contact my daughter in Hong Kong and can see her face when we talk on the computer phone. That is wonderful. Good groups are starting up all over the country, people prepared to help and put themselves out for others. Society always finds ways of sorting these things out. We all know that we can’t depend on government and that they have other issues to be concerned about. I would like to say that politicians do nothing and that they are all corrupt but that would be unfair. There is plenty of work going on. Where the politicians are wrong, and where we as a society have failed, is that we have pawned the future of our children to maintain a high living standard for ourselves. It is obvious to all and sundry that Britain cannot go on with the standard of living we have but no one is willing to stand up and say it. Who would vote for them if they did? But the great hope of the world is always the goodness of people. Then in the middle of last week we all got a bit of good news; life is on the up in the New North. “House sales in Northern Ireland increased by more than 20% between the second and third quarters of this year, the University Of Ulster (UU) has said. The figures were revealed in the latest University of Ulster quarterly house price index. The UU survey recorded 1,706 transactions in July, August and September. The barometer of happiness, the price of your bricks and mortar, seems to be going the right way. It doesn’t take much to make us happy! While I take delight in a snippet about the value of Casa Turlough a report reveals that “nearly nine million people across the UK are living with serious debt problems. The survey has particular criteria before a person can be included: “The study lists the top five cities where people are "over-indebted". The top five cities with huge personal debt were listed as Hull, 43.1%, Nottingham, 41.2%, Manchester, 41.1%, Knowsley, 40.7%, Liverpool, 40.6%. What a way to live. God love the people under burdens such as these. They should move to the Free State and ask Justice Birmingham to take their previous lifestyle into consideration! Well, at least we can always depend upon the Germans to show us how to do things honestly. Fraulein Merkel strides the globe telling all and sundry how to run their affairs and how everything should be honest and open. But enter Former German President Christian Wulff who has gone on trial accused of receiving and granting favours in office. He is alleged to have accepted the payment of hotel bills by a film producer in return for lobbying while he was premier of Lower Saxony in 2008. Arriving for his trial, Mr Wulff told reporters: "This is not an easy day for me." But he said he was certain he would dispel the allegations against him "because I always behaved correctly in office". “The families of 20 people killed by soldiers during the Troubles are suing Northern Ireland's chief constable. 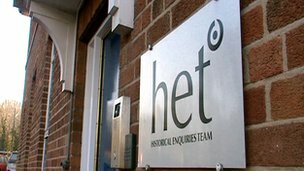 It follows a report which said the team set up to re-examine deaths during the Troubles had failed to investigate killings by soldiers properly. We had bombing and blowing up on an industrial scale from 1970 to 1994: you may say roughly 25 years of unrest and did it get us anywhere? We could argue about that til the cows come home and we won’t all agree, but I believe that three groups of people did more to further the cause of the Catholic people in Northern Ireland than Sinn Fein or the IRA ever did. The first group, though not in any particular order, is the GAA. The GAA held our Irish identity together over the years and continue to do so. Their work with young people and in promoting all things Irish has no equal. I believe the same of the other groups who promote Irish music and dancing. The second group is the Catholic Church which has pushed for education all down the years, from the time of hedge schools to the present day. What you must understand is that an educated person can’t be kept down. From the arrival of free education in the 1947 Education Act the days of Unionist ascendency were numbered. The first generation of these educated people, men like John Hume and Seamus Mallon along with women like Bernadette Devlin were not going to be tramped over. Their ability to stand their ground and hold their own in debates and arguments should have alerted unionism to what was happening. Perhaps Terence O’Neill was the only unionist with the foresight to see the writing on the wall. The third group, and no less important, were the solicitors who fought the British on human rights issues at every turn along the way. Some of them even died for their efforts; Pat Finucane and Rosemary Nelson come to mind. I don’t believe for one moment that these families shall ever get justice from the British but the constant needling and exposing to the world the injustices of the British gradually force them to change their behaviour. We have come a long way in this wee country when a group of working class Catholics have the confidence to sue the chief constable.